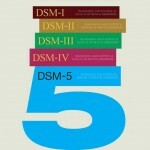 Tom Insel, the Director of the National Institute for Mental Health, to celebrate the release of DSM5 in May of 2013, famously announced that the manual was already irrelevant to psychiatric research. This quote from Psychology Today captures the moment fairly well. I have been considering the research diagnostic criteria because I’m in the midst of working with Descartes Lee to revise a part of the diagnosis section of the didactic material for the residents in psychiatry at UCSF. The plan is to focus much more on teaching the research diagnostic criteria then on teaching DSM-5. And so I have been thinking about the pluses and minuses of that approach. The research diagnostic criteria are designed to focus much more on brain processes than DSM5 (which is really a minor revision of DSMIV, which was, in turn, a relatively minor revision of DSMIII). The idea idea behind RDOCS is that if we can define aberrant brain processes that will help focus our research efforts. From a practical clinician’s standpoint, the problem is that at this point we have no information that allows us to go from the research diagnostic criteria to prognosis and little information that allows us to specify treatment. A good friend just recently published a book on trans-diagnostic treatment planning that focuses on psychotherapy. It is an interesting book because it derives from her perspective as a clinician that the trouble with implementing “evidence based treatment” is that most patients have multiple comorbidities and so trying to develop a plan can become a bit like creating a smorgasbord. Instead, she suggests, that treatment planning focus on the aberrant cognitive or behavioral processes. Again, we see how the mental health community is refocusing its attention more on the underlying dysfunctional cognitive or mental processes and working with those rather than on a purely diagnostic approach to treatment planning. So Tom Insel is right. But we aren’t quite ready for the new world he proposes, and we have to both prepare residents for the future and also allow them to practice in the present. And how to create that perfect synthesis is going to be this month’s challenge.